Every good story needs a villain or two, and this one is no exception. The first one is Lee de Forest, the man who invented the triode. History hasn’t painted de Forest kindly, and some of the reasons for that are because of his interactions with Armstrong. However, there’s more than that. Technically, Thomas Edison invented the vacuum tube as an offshoot of experimenting with light bulbs. He knew electrons were streaming away from the filament and put an electrode in — what we would call a plate — to collect them. He didn’t have any real idea what to do with the device, though. In 1904 John Fleming realized that the device operated like a check valve allowing current to flow in one direction but not the other and demonstrated using it as a rectifier. This is why people in some parts of the world call tubes Fleming valves. What de Forest added to the mix was to put a grid between the filament and the plate. He was actually trying to build a radio detector that used ionized gasses and filed a patent on a two-terminal device in 1907. The grid was initially on the outside of the glass tube, which didn’t work well. Once it was moved inside the tube, it allowed a small signal on the grid to be amplified at the plate. De Forest called this tube the audion. There were a few reasons it didn’t work very well, not the least of which is that de Forest erroneously thought that having a little gas left in the tube was essential for its operation. We know now, you want less gas, not more. I have arrived, as yet, at no completely satisfactory theory as to the exact means by which the high-frequency oscillations affect so markedly the behavior of an ionized gas. If he was just a practical inventor, that wouldn’t make him a villain, though. However, when Marconi, who held the Fleming patent, sued that the audion infringed, de Forest took the position that the two devices were completely different. Of course, they were not. A court sided with Marconi although since the grid was a patentable improvement, so the two sides agreed to exchange rights. We think of protracted court battles over intellectual property as a modern problem. Perhaps it is true that the more things change, the more they stay the same. Armstrong grew up experimenting with gassy low-quality audions. He was determined to understand how the device worked in a scientific way. While at Columbia he did comprehensive studies and found that using positive feedback could create much higher amplification — enough to drive speakers instead of headphones. This is the basis behind a regenerative receiver. The signal is amplified many times over getting stronger each time. In addition, Armstrong learned that if you increase the feedback, you get sustained oscillations. This would be a huge breakthrough for radio to have a reliable way to generate radio waves electronically. Armstrong filed for a patent in 1913. Lee de Forest predictably discounted Armstrong’s work for a few years. Then in a surprise move in 1915 he filed patents for the same inventions claiming he had priority because of a lab notebook he had dated in 1912. World War I intervened, however, so things moved slowly. Regenerative receivers were sold until another Armstrong invention would replace them. Regens are still popular with hackers because they generally have a very low parts count. If you want to learn more about how they work, check out Stan’s video analysis of one based on a FET which isn’t very different from a tube. During the war, Armstrong also developed the superheterodyne receiver: a common architecture even today where a frequency of interest is converted to a single intermediate frequency for amplification and filtering prior to detection. By 1919 Armstrong was in court on two fronts on the de Forest patents. To finance his legal fees, he had licensed several companies to make regenerative receivers for amateurs and experimentation. He was also shopping for a big corporation to buy the rights. Westinghouse wound up with both the regenerative and superheterodyne patents. By 1928, the courts would actually decide a Frenchmen named Lévy invented the superheterodyne first. The legal front on regeneration was quite different. Both the court and the patent office decided that de Forest’s patents were not valid. However, Armstrong didn’t want to settle for the compensation offered by de Forest. This allowed de Forest to appeal the case, which he eventually won through two further appeals up to the Supreme Court. This move shocked most people in the radio business at the time. Armstrong attempted to return an award he received from the IRE (the Institute of Radio Engineers) and the institute refused to accept the return, publically stating they rejected the court’s findings. Although Armstrong didn’t do well in court, he did have a little luck. While dealing with the legal end of things, he stumbled on an improvement to regeneration called super regeneration. That patent netted him $200,000 and 80,000 shares of RCA stock which made him the largest shareholder. Keep in mind, too, that $200,000 in 1922 was a fortune. RCA wound up never actually producing radios using this technology, as the superheterodyne turned out to be far superior. In case you forgot, all this was leading into the invention of FM radio. AM radio is very prone to noise and fading because these show up as changes in amplitude — the A in AM. During the 1920s, Armstrong was trying to think of ways to improve AM radio. FM — modulating frequency instead of amplitude — had been largely dismissed because of an incomplete analysis of FM done by John Carson showing that FM would not improve on the quality of AM. By 1928, Armstrong started working with FM despite its detractors, and the key was using a wider bandwidth. Armstrong filed for patents in 1933. RCA had the right of first refusal on his patents by this time, but they were unimpressed with a system that was complex and was not compatible with existing equipment. Armstrong went to smaller radio companies like General Electric and Zenith. He also got the FCC to allocate a band for this new kind of radio with 40 channels in the 42 to 50 MHz range. You might notice that this isn’t where the FM band is today. That will play a part in the story to come. There’s a lot of pictures of old FM radios, for this band online. Oddly enough, this band displaced another attempt to do “better” radio called Apex radio — a topic we will cover in the near future. At first, RCA saw FM as a threat to their existing businesses and did everything they could to prevent Armstrong from demonstrating the system to the public. Despite this, Armstrong did get the FCC interested in FM and even built his own FM station W2XMN to help get things moving. The first broadcast was in 1939. There were only 25 FM receivers in the world at that time, so the audience wasn’t very large. RCA finally wanted to get into the FM game, but they didn’t want to pay Armstrong royalties. In 1940, they offered him a cool million dollars for a non-exclusive but royalty-free license. Armstrong didn’t feel like it was fair to other companies that were paying 2% on their sales. He refused and this would become a fateful and ultimately pointless decision. To the right, you can see a magazine cover from 1940. The picture shows a million volt arc that totally ruins AM reception but didn’t interfere at all with the FM radio. Because of World War II, there were comparatively few FM receivers and stations in service on the new frequency band. I say comparatively because ultimately there would be nearly 400,000 receivers in service compared with millions of AM radios. Signals around 50 MHz are subject to propagation effects that can cause interference. RCA lobbied fiercely to move the FM band and Armstrong vigorously countered it. In his opinion, RCA only wanted to disrupt the existing base of FM stations and receivers, perhaps because he wasn’t willing to take their million dollar offer. Since you know the current FM band is from 88 to 108 MHz, you can probably guess which side won in 1945. Still, Armstrong was convinced that FM was the future and even hired a public relations firm to spread the word about FM’s superiority. RCA would eventually develop what they claimed were non-infringing FM patents and even encouraged other companies to stop paying royalties to Armstrong. He sued, but RCA was able to tie the case up for years. The two obvious villains in this story were de Forest and David Sarnoff of RCA. However, there’s a third villain: the courts. Being constantly embroiled in legal battles with a giant company takes its toll on your pocketbook and on your mental health. Facing bankruptcy, Armstrong approached his wife Marion (who had been, by the way, David Sarnoff’s secretary) about returning money he had given her to put aside for their retirement. She refused and in 1954 he took a swing at her with a fire poker. Unsurprisingly, she left him. Armstrong lived in an apartment on the 13th floor of the New York River House. With his wife gone and three servants done for the day, Armstrong removed an air conditioning unit, put on a nice suit, a hat, overcoat, and gloves. Then after writing a two-page note, he walked out the window, plummeting to his death on a third-floor balcony. The New York Times reported that he was heartbroken over the loss of his wife and regretted hurting her. It is ironic that Armstrong turned down the million dollars. After his death, Marion settled with RCA for — what else — a million dollars. She also pursued other court cases, defending his patents and receiving infringement awards from other manufacturers. FM would really take off after General Electric added stereo to FM in the late 1950s. A sad end to a prolific inventor that created a lot of technology we still use today. It is hard to say for sure if the villains in a story like this were really as bad as they appear or just unable to present their side of the story. On the other hand, history is written by the victors and Armstrong certainly wasn’t the victor. That’s got to mean something. As I was writing this, though, one thing did strike me. Most of the world — including the United States — has gone to a patent system where “first to file” gets priority. I’ve always thought that is bad for us hackers because we are less likely to quickly file patents and, thus, more likely to get knocked out by a big company spewing out dozens of patent disclosures a day. But this is a case where first to file might have totally changed Armstrong’s life for the better. It also reminds me that even though most of us don’t file patents often, maybe we should think about it. Maybe big companies are going to control all the upcoming innovations because — unlike Armstrong — we are letting them. Update: Er zijn QSO’s te horen op 145.725 MHz! De repeater wordt op dit moment getest. We hopen binnenkort het definitieve verslag van de plaatsing van de repeater te kunnen geven! 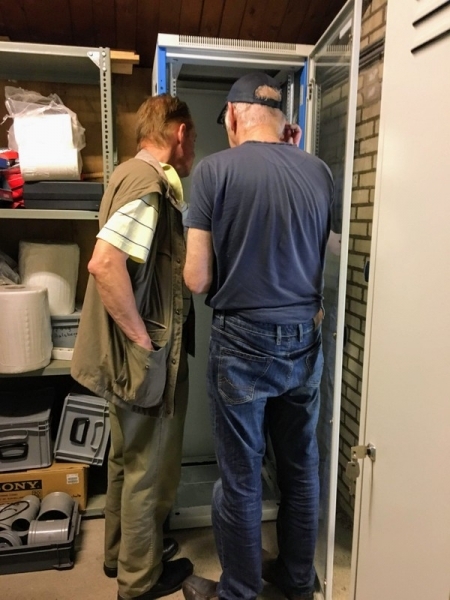 Op dinsdag 12 juli is het repeaterteam weer naar Hulsberg getogen voor de laatste inspecties, afstemming en voorbereidingen voor de plaatsing van onze regio repeater PI3ZLB op haar nieuwe standplaats. 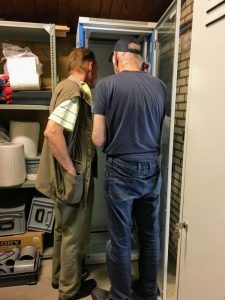 De 19 inch kast die zal gaan dienen als behuizing voor de repeater is reeds op locatie geplaatst, en ook de antenne mast staat al gereed. Het bouwteam bestaat uit Dave PE8OHM, Egbert PA0EJH, Folkert PA0FOT, Henk PA2S en Rudolf PA1EBM. Ze worden bij de dakwerkzaamheden geassisteerd door Andre. Op de mast komen straks een Diamond X200N collinear, en een 30cm schoteltje voor de datalink. Het hoogste punt van de antenne komt 5 meter boven het dak. 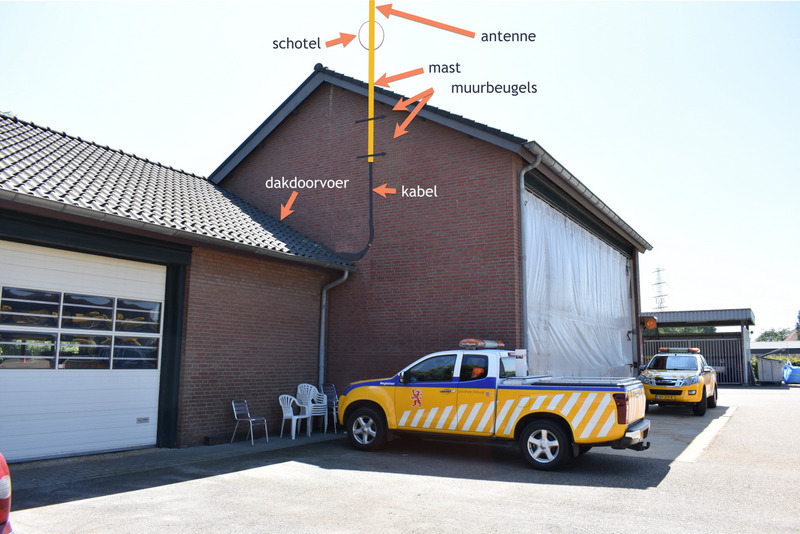 De antenne wordt zo geplaatst dat deze later met een ladder vanaf de grond te bereiken is voor onderhoud. De muurbeugels worden met keilbouten in de muur verankerd, en de antenne wordt met een Ecoflex 10 coax van ca. 30 meter langs de gording aan het plafond naar de repeater geleid. De demping van kabel, duplexer en circulator bedragen samen ongeveer 3 dB, de antenne heeft een gain van 3dB. Er zal uitgezonden worden met een vermogen van 15W ERP. De antenne staat op ongeveer 143 boven NAP. De locatie van de nieuwe repeater kun je al terugvinden op de site van het Agentschap Telecom, die ons erg goed geholpen helpen met het snelle verlenen van de machtiging voor de nieuwe locatie. Bij het volgende bezoek gaan we de stroomvoorziening voor de repeater op zolder aanleggen, de muurbeugels plaatsen, antenne afmonteren, mast plaatsen en schoteltje uitrichten, en de kabels door het dak langs de gordingen naar de repeater ruimte voeren. Ook gaan we dan de repeater in het 19 inch rek monteren. 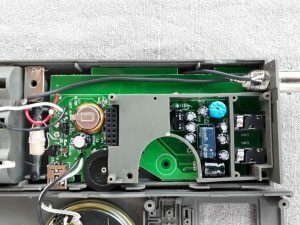 Die bestaat uit een professionele Spectra MX800 repeater, en een besturing op basis van een HamserverPi met SVXlink draaiend op een Raspberry Pi 3. 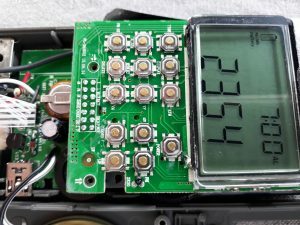 In het rek komen verder nog de gereviseerde duplexer, een circulator om de gevoeligheid van de ontvangst nog wat te verbeteren, een 25A Powerwerx voeding, een UPS, antenneswitch met dummyload voor testdoeleinden, en de nodige bekabeling. Alles bij elkaar best een ambitieus plan, maar het gemotiveerde team hoopt dat het gaat lukken die klus in één dag te klaren. Veel hangt daarbij af van een goede voorbereiding, waaraan momenteel gewerkt wordt, en natuurlijk het weer. Afrondende werkzaamheden, zoals het definitief inregelen van repeater, duplexer en circulator in combinatie met de nieuwe antenne en de coax zullen bij een volgend bezoek gedaan worden. Na een korte test periode zal onze eigen regiorepeater PI3ZLB op 145.725MHz dan hopelijk begin augustus weer in gebruik genomen kunnen worden. We hebben behalve veel donaties in natura ook al een aantal financiële donaties mogen ontvangen. Daarmee lijkt de realisatie van een basis relais haalbaar. Financiële bijdragen zijn nog steeds welkom. Deze zullen worden benut om het relais verder uit te kunnen bouwen. NB ! Let op de spelling van de tenaamstelling; De meeste banken checken daarop, maar dan moet de spelling wel 100% overeenkomen. Graag onder vermelding “donatie PI3ZLB” met eventueel je call, luisternummer of naam indien je wilt worden opgenomen in het overzicht van donateurs. Or can we? At HOPE XII, Thomas Witherspoon gave a talk called “Creating a Radio Time Machine: Software-Defined Radios and Time-Shifted Recordings”, an overview of the work he’s been doing recording and cataloging the broadcast radio spectrum. He demonstrated how anyone can use low cost SDR hardware to record, and later play back, whole chunks of the AM and shortwave bands. Rather than an audio file containing a single radio station, the method he describes allows you to interactively tune in to different stations and explore the airwaves as if it were live. 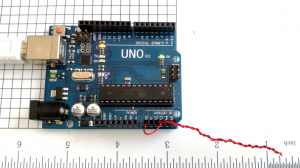 You might think that such radio trickery is a product of modern hardware and software, but in fact the methods Thomas and his group of radio archivists use have considerably more retro beginnings. As far back as the 1980’s DXers, radio hobbyists that look specifically for distant signals, found that if they connected the intermediate frequency (IF) output of their radio to a VCR they could capture whatever their antenna was picking up for later analysis. When the tape was played back through the antenna port of the radio, they could tune to individual frequencies and search for hard to hear signals. Of course the utility of this method wasn’t limited to just weak signals. It allowed radio operators to do things that would otherwise be impossible, like going back and listening to different news broadcasts that were aired at the same time. A few DXers realized there was a potential historical value to such recordings, and some of these early tapes were saved and wound up becoming part of the collection Thomas has been building and offering up as a podcast. 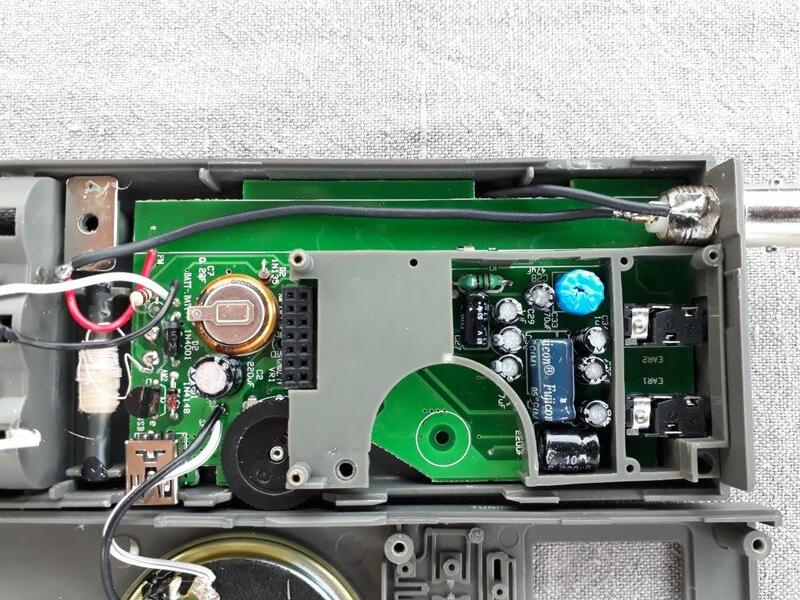 The modern version of this technique replaces the AM or shortwave receiver with any one of a number of affordable SDR devices, and the VCR has become a piece of software that can dump the SDR’s output to a file. This file can then be loaded up in a compatible SDR interface program, such as HDSDR, in place of an actual radio. Thomas envisions a future where researchers will be able to sit down at a kiosk and browse through the radio broadcasts from a given time and place, the same way a microfilm machine is used to look at a newspaper from decades past. But while making these recordings is now cheaper and easier than ever before, there are still logistical issues that need to be solved before that can happen. Chief among them: how do you store it all? Thomas mentions that a single day’s recording of the AM broadcast band will result in roughly 1 TB of data. Potentially some compression scheme could be developed which would scan the recordings to isolate the viable signals and delete the rest. Another approach would be a sort of ring buffer arrangement, where the system only retains the last few days of recordings unless the user commits them to long-term storage. If something deemed worthy of future study occurs, the ring buffer could be moved to permanent storage so the event as well as the preceding time could be preserved for historical purposes. Until then, Thomas and his team will keep on recording during noteworthy events. As an example, they made extensive spectrum recordings during the 2016 US Presidential elections, believing it will be a moment future generations will likely want to have as much information on as possible. You can find a very detailed article about the radio from 2001 if you want more details. The system is somewhat dated, but apparently works well and that’s what counts. What we find interesting is that in today’s world, people take wireless communications for granted and don’t realize that cell phones don’t work underground or in the face of widespread disasters. We would imagine most Hackaday readers know how cell phone towers use “cellular reuse” to support more than a handful of phones. Ask some non-technical friend if they know how a cell phone works and you’ll be surprised how few people understand this. Ham radio operators and hackers are vital to building and deploying specialized radio systems in times of disaster or — in this case — where people need rescuing from an odd environment. We were glad to see a nod to some hacker gear in the popular press. But we almost wish there had been more reporting on the volunteer divers and their hacked radio gear. We’ve talked about VLF radios before, but not for caving. Of course, in the old days, all radio was VLF and it might have even had some unintended consequences. 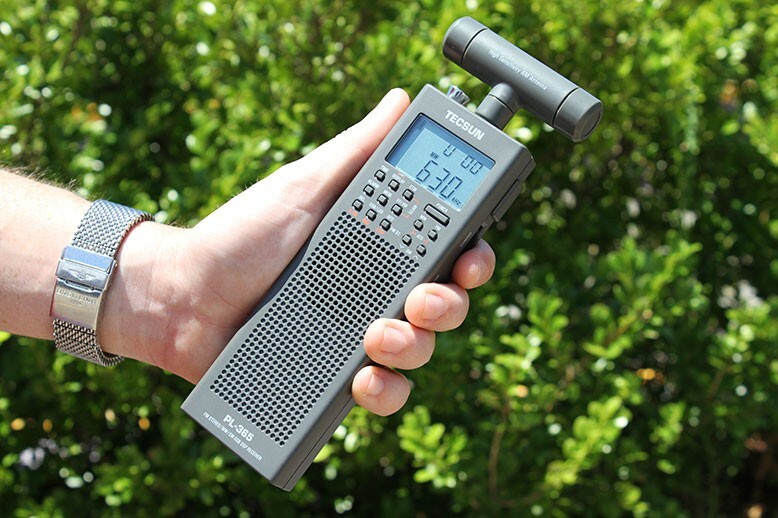 The Tecsun PL-365 is a great SW radio (as well as an FM radio) with both regular broadcast bands as well as HAM bands and selectable USB/LSB reception with BFO. However, the stock telescopic antenna is not long enough for these bands and adding a wire to this antenna is not very practical. Fortunately you can easily add a BNC connector without modifying anything or ruining the case! Obviously, the insulation needs to be good enough for the voltage on them, an important consideration in tube circuits, for instance. But other than that, a gimmick capacitor is a straightforward tool to have in your box of design tricks. Can we take this further? You might wonder if the technique can be applied to PC boards. The answer is yes — sort of. Unless you use very thin boards, or thin layers in multilayer boards, it takes a lot of board real estate to get even a small capacitance. Also, typical PCB material can change over time with moisture or other effects. Practically, unless you use special board material and thicknesses, it isn’t very useful. There has been work on laying out linear capacitors on IC substrates using fractals, but we aren’t sure how that would translate into a PCB layout. We’ve seen lots of other PC trace components like antennas, shunt resistors, inductors, and transmission lines. You can see I made a gimmick just bigger than two inches. I then went looking for something around the lab that had the ability to measure such a small capacitor. The component tester couldn’t. 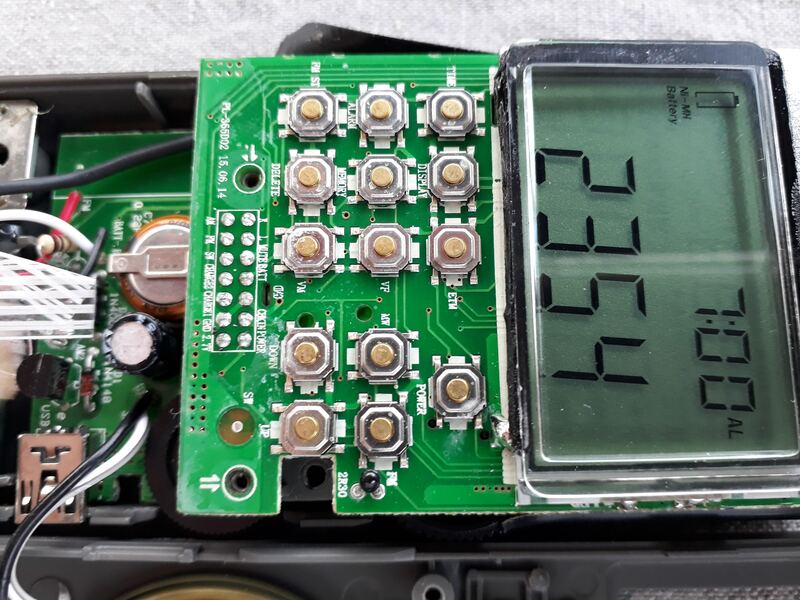 I have a nice digital multimeter that has a special plug-in for measuring capacitors and thermocouples, but it wouldn’t reliably read anything under 25 pF. I was thinking about building up a circuit to test when I realized I should search Hackaday first. [Jonathan’s] capacitance meter is just what I needed and I even threw it out to an Arduino that was already hooked up using the Arduino Create web interface, so that was easy. I actually used the newer “Mark II” code but it works the same for the low values I was measuring. I calibrated with a garden variety 10 pF ceramic. It probably isn’t that accurate, but I really only wanted to see the change more than the actual value, so I thought this was sufficient. The two inch (call it 6 cm) gimmick reads about 5.5 pF. That might not be totally accurate, but I was expecting about 4.5 pF and the magnet wire insulation is quite thin, so it’s in the right ballpark. Let’s take it as a baseline to measure change. I then cut about 1.5 cm of the capacitor away — about 25% — and the reading became 3.7 pF. Another centimeter brought it down to 2.6 pF. Of course, hand-wound pitch isn’t very accurate, nor were my cuts or measurements, but that works out to just around 1 pF per centimeter. Obviously, your results are going to depend on your winding and the kind of wire you use. [Harry Lythall] suggests folding a single piece of wire, holding it with pliers, and twisting. Then you cut the loop when you are done. It is easy to forget that any two conductors near each other will have capacitance. Another common makeshift capacitor is a length of coax with connections at one end and open at the other. RG-8, for example, is about 30 pF per foot of cable. There’s even an online calculator that will tell you how much coax you need for any given value. This varies by coax type, of course, so remember to cut a little long and trim! The next time you need a small adjustable capacitor — especially in a lab setting — don’t forget about the gimmick. Be sure to experiment with different kinds of wire if you are trying for larger values. We’ve seen this trick used in RF filters. In the case of the gimmick, you may be thinking small, but when you are really looking for high voltage capacitors, you can make those, too.